We make Performance Gi IV Pants with a durable 78% organic cotton/22% T400® polyester comfort stretch twill blend that has mechanical stretch for mobility and the comfort for day after day wear on long road trips. Best for lean-to-medium builds wanting a sleeker look that doesn’t compromise movement, these slim-fit pants are cut to sit on the waist with a regular rise. 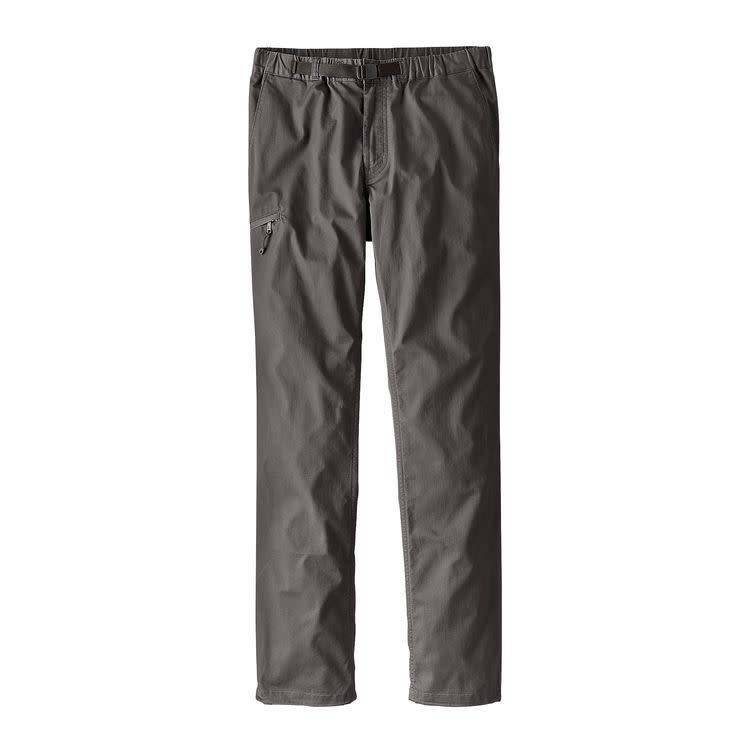 Details include a button-front elasticized waistband with a separating buckle, an adjustable belt and zippered fly, front and back knee articulation, and a gusseted crotch that allows full range of motion when you’re scrambling, hiking or casting for Patagonia brookies. They have slanted side-entry front handwarmer pockets, a right-side pocket with a zipper closure and two rear welted pockets with button closures. 32" inseam. It’s also Fair Trade Certified™ sewn, which means the people who made it earned a premium for their labor.